What is the Promise Zone? What is the St. Louis Economic Development Partnership’s role? 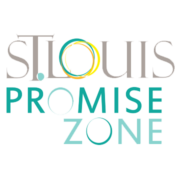 The St. Louis Economic Development Partnership is the lead organization serving as the “backbone” for the Promise Zone, with support from the St. Louis Development Corporation. This role includes coordinating partners, engaging the community and ensuring accountability in meeting our Promise Zone goals. In order to sustain this project, a governance structure has been established. Who are the partner organizations and what are their roles? What is the role of the community in the Promise Zone? Community residents and leaders function as the “heart” of Promise Zone work, and are indispensable in its success. The Partnership and partner organizations will be building off of both new and pre-existing, community-driven revitalization efforts as a core strategy. What are the criteria for becoming a federal Promise Zone? Promise Zones must encompass one or more census tract(s) or portions of census tracts across a contiguous geography. The overall poverty rate or Extremely Low Income rate (whichever is greater) of residents within the Promise Zone must be at or above 33 percent. Promise Zone boundaries must encompass a population of at least 10,000 but no more than 200,000 residents. Local leadership, including the mayors or chief executives of all local governments represented in the Promise Zone, must demonstrate commitment to the Promise Zone effort. Proposed Promise Zone boundaries may cross local government lines, but one Lead Applicant must be identified, and for cross-jurisdictional applications, commitment must be demonstrated by the leadership of all the local governments involved. Preference points give priority to eligible federal grant proposals that are submitted with a preference point certification form. The form is signed off by the Partnership, which certifies that the applicant has the capability of implementing the grant in accordance with Promise Zone objectives. The preference points are applicable to select federal grant programs, and the corresponding federal agency decides how many preference points are awarded. Where are the other Promise Zones? In January 2014, the designees selected for round one were: San Antonio, Texas Philadelphia, Pennsylvania, Los Angeles, California, Kentucky Highlands, Kentucky, and the Choctaw Nation, Oklahoma. The second round of designees included Camden, New Jersey; Hartford, Connecticut; Indianapolis, Indiana; Sacramento, California; Minneapolis, Minnesota; the Pine Ridge Indian Reservation of the Oglala Sioux Tribe, South Dakota; South Carolina Low Country; and St. Louis, Missouri. In June of 2016, the third and final round of Promise Zone designees were announced: Atlanta, Georgia, Nashville, Tennessee, Evansville, Indiana, South Los Angeles, California, San Diego, California, Southwest Florida Regional Planning Commission, Spokane Tribe of Indians, Washington, Turtle Mountain Band of Chippewa Indians, Rolette County, North Dakota, and Roosevelt Roads, Puerto Rico.